I used a whole bunch of Little Yellow Bicycle with the addition of some pearls and twine. 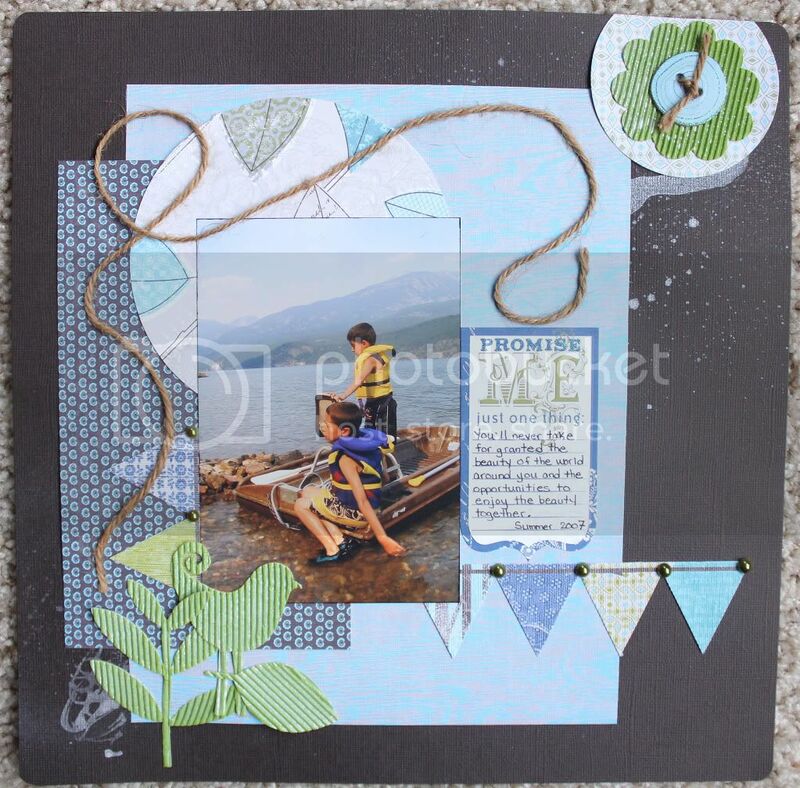 All the items are from a past Scrapshotz monthly kit. I had to use a wee of Glimmer Mist too. Another great sketch from Sketchy Thursdays! This is fantastic! I love this line by LYB and I love how you used the twine on here! Fabulous layout! Thanks for joining us at Sketchy Thursdays! Great take on the sketch! Your page is beautiful! Thanks for playing along with Sketchy Thursdays!